Hindi cinema, often metonymously referred to as Bollywood, and formerly known as Bombay cinema, is the Indian Hindi-language film industry, based in Mumbai, Maharashtra, India. The term being a portmanteau of "Bombay" and "Hollywood". 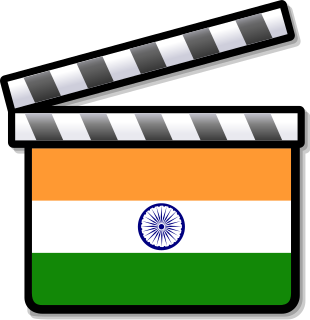 As India is a multi-lingual society with variety of languages spoken by its residents, multiple language films are churned out in their native languages by film industries such as Hindi-language film industry, Tamil film industry (Kollywood), Telugu film industry (Tollywood) and others, together combined they form the massive Indian Cinema, the largest film industry in the world. Baabul is a 2006 Bollywood drama film, directed by Ravi Chopra. The movie stars Amitabh Bachchan, Salman Khan, John Abraham, Hema Malini and Rani Mukerji. The movie was dubbed in Telugu as Premabhishekam. The movie celebrates B. R. Chopra's 50 years in cinema. The movie was praised for the bond shown between Salman Khan and Amitabh Bachchan, though it was declared a flop at the box office due to its poor commercial performance. Under the tutelage of Pandit Aaskaran Sharma, Richa went on to get proper training in Indian classical and light music. Richa added ghazals; film songs, Punjabi and Rajasthani folk songs to her repertoire, thus making her voice reach out to more and more people in a variety of sounds. While music was at its peak in Richa's life, academic education had to be sacrificed and without any backing with a dream to make it big in the music world, Richa landed in Mumbai in 1994. She sang cover versions and bhajans to ensure she had her bread and butter and simultaneously continued her struggle in Bollywood. She made her debut in Bollywood with Sawan Kumar's Salma Pe Dil Aa Gaya in 1996 and followed it up by a number of films until the big hit came by in the form of Taal where she sang for A.R. Rahman. Taal is a 1999 Indian musical romantic drama film co written, edited, produced and directed by Subhash Ghai. Taal was premiered at the Chicago International Film Festival, the "official selection" at the 2005 Ebertfest: Roger Ebert's Film Festival, and the 45th International Film Festival of India in the Celebrating Dance in Indian cinema section. Thereafter a spate of hits followed, Zubeidaa , Saathiya (A.R. Rahman); Hera Pheri (Anu Malik); Khakee (Ram Sampath); Tarkeeb (the song "Duppatte Ka Palu"), Baghban (Title Song for Aadesh Shrivastava); Soch (the song "Nikal Chali Be" for Jatin-Lalit); Rudraksh, Kal Ho Naa Ho (Sad version of the title track for Shankar-Ehsaan-Loy); Gangajal (Sandesh Shandilya); Popcorn Khao Mast Ho Jao (Vishal-Shekhar), Saawariya (Monty Sharma), and Om Shanti Om (Vishal-Shekhar) and the most popular song for Kaante ("Mahi Ve" for Anand Raaj Anand). Zubeidaa is a 2001 Indian film directed by Shyam Benegal and written by Khalid Mohammed. It stars Karisma Kapoor, Rekha, Manoj Bajpayee, Surekha Sikri, Rajit Kapoor, Lillete Dubey, Amrish Puri, Farida Jalal, and Shakti Kapoor. Renowned musician A.R.Rahman has scored the background music and soundtrack for the movie. Saathiya is a 2002 Indian Hindi-language romantic drama film directed by Shaad Ali and produced by Mani Ratnam and Yash Chopra under the banner of Yash Raj Films. The film stars Rani Mukerji and Vivek Oberoi in lead roles, with Shah Rukh Khan and Tabu appearing in extended special appearances. The soundtrack was composed by A. R. Rahman and the lyrics are penned by Gulzar. It is a remake of the Tamil film Alaipayuthey whose climax was reported to be inspired by the 1998 movie Sliding Doors and which was directed by Mani Ratnam with music composed by Rahman as well. Box Office India declared the film a Hit. Additionally, the film won six Filmfare Awards. Hera Pheri is a 2000 Indian Hindi-language comedy film directed by Priyadarshan starring Sunil Shetty, Akshay Kumar, Paresh Rawal and Tabu. It is the remake of 1989 Malayalam film Ramji Rao Speaking. The film spawned a sequel, Phir Hera Pheri, released in 2006. It is the first installment of the Hera Pheri franchise. In March 2011, Richa Sharma and her family inaugurated the Saibaba Temple in Faridabad, Haryana and launched her first Saibaba devotional album Sai Ki Tasveer released by SaReGaMa India. She hosted Antakshari with Anu Kapoor on Zee TV. She appeared on the singing reality show Jo Jeeta Wohi Super Star as a guest judge. She also appeared on the singing reality show Indian Idol as a guest singer. She also appeared on the singing reality show Sa Re Ga Ma Pa Singing Superstar as a guest singer. She sang the title song for the STAR Plus show Sajda Tere Pyaar Mein. She sang the title song for the Sahara One show Doli Saja Ke. In 2014 Richa Sharma has sung a song with Shaan and Palak Muchhal,penned by Raghvendra Singh in music direction of Navin Manish for Rajshri Production's upcoming TV show "Mere Rang Mein Rangne Waali" on Life Ok.
On 25 February 2017, Richa Sharma appeared on "Indian Idol" as guest. Antakshri also known as Anthyakshari is a spoken parlor game played in India. Each contestant sings the first verse of a song that begins with the Hindustani consonant on which the previous contestant's song selection ended. Zee TV is an Indian pay television channel owned by Zee Entertainment Enterprises, a media and entertainment company based in Mumbai, Maharashtra. A part of the Essel Group, it started to broadcast on 2 October 1992 as the first Hindi-language subscription channel in India. Jo Jeeta Wohi Super Star was an Indian reality television series which aims to bring the winners of 'all' singing reality shows completed previously and the runners-up together competed for the 'Superstar' title under 'one roof'. The series' grand-finale took place on July 12, 2008 at 8PM IST. Padmaavat is a 2018 Indian epic period drama film directed by Sanjay Leela Bhansali. Loosely based on the epic poem Padmavat by Malik Muhammad Jayasi, it stars Deepika Padukone as Rani Padmavati, a Rajput queen known for her beauty, wife of Maharawal Ratan Singh, played by Shahid Kapoor. Sultan Alauddin Khilji, played by Ranveer Singh, hears of her beauty and attacks her kingdom to claim her. Aditi Rao Hydari, Jim Sarbh, Raza Murad, and Anupriya Goenka featured in supporting roles. Bombay Talkies was a movie studio founded in 1934. During its period of operation, Bombay Talkies produced 40 movies in Malad, a suburb of the Indian city of Bombay. Ghanchakkar 1,532 metres (5,026 ft) is the third highest peak in the Maharashtra State under Sahyadri mountain ranges in western India. Its neighbouring peak Muda 1,520 metres (4,990 ft) is the fourth highest peak in the Maharashtra State under Sahyadris. Alka Yagnik is an Indian playback singer. She is noted in Indian cinema for a career spanning over three decades. She is a record seven-time winner from a record of 36 nominations of the Filmfare Award for Best Female Playback Singer, a two-time recipient of the National Film Award as well as several other music awards and honours listed below. Further, as many as twenty of her tracks feature in BBC's "Top 40 Bollywood Soundtracks of all time" review. Usha Uthup is an Indian pop, filmi, jazz, and playback singer who sang songs in the late 1960s, 1970s and 1980s. Darling, which she recorded with Rekha Bhardwaj for the film 7 Khoon Maaf, won the Filmfare Award for Best Female Playback Singer in 2012. Shreya Ghoshal is an Indian playback singer. She has received four National Film Awards, seven Filmfare Awards including six for Best Female Playback Singer, nine Filmfare Awards South, four Kerala State Film Awards and two Tamil Nadu State Film Awards. She has recorded songs for film music and albums in various Indian languages and has established herself as a leading playback singer of Indian cinema. Krishnakumar Kunnath is an Indian singer. He is a prominent singer in Hindi, Tamil, Telugu, Kannada, Malayalam, Marathi, Bengali and Gujarati languages films. KK is noted for his clear and soothing voice; broad vocal range and noteplay. He is considered as one of the most versatile singers of India. Shantanu Mukherjee, known as Shaan, is an Indian playback singer active in Hindi, Bengali, Marathi, Urdu, Telugu and Kannada films and a television host. He hosted the shows Sa Re Ga Ma Pa, Sa Re Ga Ma Pa L'il Champs, Star Voice of India and STAR Voice of India 2. In Music Ka Maha Muqabla, his team, Shaan's Strikers, finished as the runners up to Shankar Mahadevan's team. He has also sung many Nepali and Pakistani songs. Sadhana Sargam is a playback singer of Indian cinema with a career spanning over three decades. Besides film music, she sings devotional songs, Classical music, ghazals, regional film songs and pop albums. She is a recipient of the National Film Award and Filmfare Awards South. She has won five Maharashtra State Film awards and four Gujarat State Film Awards. Sukhwinder Singh is an Indian Bollywood playback singer. Singh is famous for singing "Chaiyya Chaiyya" for which he won the Best Male Playback Award at the 1999 Filmfare Awards. The song, from Mani Ratnam's 1998 film Dil Se.., was composed by A. R. Rahman, written by Gulzar, and sung in duet with Sapna Awasthi. It was also featured in the musical Bombay Dreams and, in remixed arrangements, in the titles and credits segments of Spike Lee's 2006 film Inside Man. Singh later gained more international fame for singing "Jai Ho" from the film Slumdog Millionaire which won an Academy Award for Best Original Song and a Grammy Award for Best Song Written for a Motion Picture, Television or Other Visual Media. His rendition for the 2014 released film Haider fetched him the National Film Award for Best Male Playback Singer. 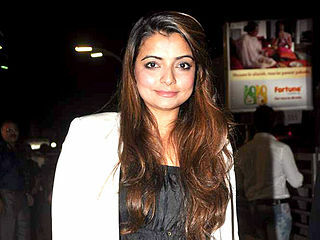 Vaibhavi Merchant is an Indian director of choreography working in Bollywood films. She is best known for her choreographic work in numerous Bollywood films. Kunal Ganjawala is an Indian playback singer whose songs are mostly featured in Hindi and Kannada films. He has also sung in Marathi, Bengali and other official languages of India. Kunal began his career by singing jingles. He came to limelight in Hindi with the song "Bheege Honth Tere" from the film Murder in 2004. It was his first biggest hit. The song earned him Zee Cine Award as Best Playback Singer in 2005. He came to limelight in Kannada with the song "Neene Neene" from the film Akash in 2005. Shweta Pandit is an Indian singer, songwriter, performing artist and actress in Bollywood. She is the grand-niece of Indian classical vocalist and Padma Vibhushan awardee, Pandit Jasraj. She has also recorded popular songs for various Telugu and Tamil film songs and many other Indian languages. Madhushree is an Indian singer, who sings in Hindi, Bengali, Kannada, Tamil and Telugu films. A familiar voice in A. R. Rahman's compositions, Madhushree hails from a musically inclined family, having previously been trained in classical and western styles music. Her father wanted her to be a classical singer, Madhushree joined the Rabindra Bharati University and completed her masters, but her desire was always to be a playback singer. Preeti Sagar is a former Bollywood playback singer who won the Filmfare Award for Best Female Playback Singer for the song "Mero Gaam Katha Parey" from Manthan in 1978 and received nomination for the hit song "My Heart is Beating" from Julie (1975). (First English song in a Hindi movie. She also became a household name in India and for Indians abroad in regards to her nursery rhymes. Parthiv Gohil is a playback singer for Indian films like Devdas, Saawariya, Saheb, Biwi Aur Gangster, Kissan and many others. Parthiv travels around the world with his band of musicians weaving musical dreams. Poornima Shrestha, also known as Sushma Shrestha, is a noted Bollywood playback singer who has sung many superhit songs in Indian music industries. Sushma started her career as a child singer in Ramesh Sippy's 1971 film Andaz. In that film, she sang under the music direction of Shankar Jaikishan the song "Hai Na Bolo Bolo" along with Mohammed Rafi, Suman Kalyanpur and Pratibha. The song went on to become a hit. Sunanda Sharma is an Punjabi singer and actress. She made her debut with the song "Billi no". Sharma also recently began her acting career in the film Sajjan Singh Rangroot with co-stars Diljit Dosanjh and Yograj Singh. Sunanda Sharma started her Bollywood career with "Tere Naal Nachna" song. ↑ "Richa Sharma's musical birthday". Screen. 12 September 2008. Archived from the original on 21 May 2010. ↑ Subhash K. Jha, (5 December 2006). "Richa Sharma sings Bollywood's longest track". Bollywood Hungama. ↑ "It's a bad time for singers in Bollywood: Richa Sharma". Indian Express. August 1, 2017. Retrieved October 17, 2017. ↑ "FIA's Diwali Mela features Richa Sharma". Indian Post. September 21, 2017. Retrieved October 17, 2017. ↑ "Sony LIV" . Retrieved 3 February 2017. ↑ "Richa Sharma replaces Sona Mohapatra as the judge of Zee TV's Sa Re Ga Ma Pa2". Newsd www.newsd.in. Retrieved 2018-11-12.